Dirt stains deep in your carpet's fibres can be tricky to remove but our cleaners Wandsworth can deal with them. Even hoovering daily can't remove all unwanted dirt and dust. Only a professional clean from our carpet cleaning company in Wandsworth, SW18 can leave your carpets smelling clean and fresh. Our cleaners know the right carpeting shampoos for your carpet. These shampoos reach deep into your carpet's fibres, removing dirt and stains, leaving them looking like new again. A rug clean has a variety of different services to suit your needs,whether you require a regular carpet clean or just a one time carpet clean, they have something for everyone. Your sofas are used daily to relax in so it's important that they are kept clean and fresh. Our upholstery cleaning company in Wandsworth are experts at bringing back that brand new quality to your sofa by using the best cleaning products. Our cleaners work at a time that suits you and takes into account the age, fabric and condition of your upholstery before cleaning so you can relax knowing your upholstery is in good hands. An upholstery clean will remove all unwanted stains, dust and dirt in all those hard to reach places. Call today to have the best upholstery cleaning service in SW18 area work for you. When it comes to moving home you want to make sure your deposit comes back to you. That's where our end of lease cleaning company located in Wandsworth can help. We have helped many tenants in the past get their full deposit back with our brilliant home move cleans. End of tenancy clean tackles tough stains, unwanted dirt and dust collected over time leaving your home spotless in no time. Our Wandsworth cleaners have the best range of cleaning products and cleaning equipment to help you get your deposit back. Why not contact us for the best a move out clean in SW18 region at affordable prices? Cleaning your home requires consistent care and attention. 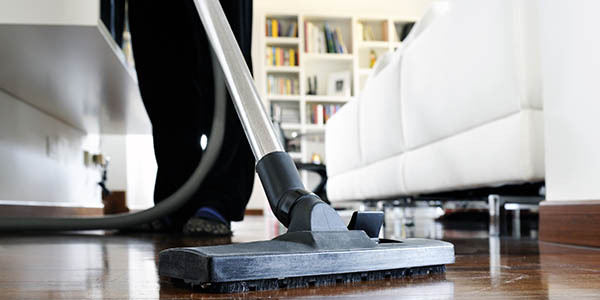 Our domestic cleaning company in Wandsworth, SW18 can give your home the attention and care it requires if you can't. Our reliable Wandsworth home cleaners know how to remove stubborn stains and tackle unwanted dirt. Whether you require a one-off clean or regular home cleans you will be amazed at the results. A domestic clean works around hours to suit you. Whether it's a particular room you need help with or a full home clean you'll find a domestic clean service to suit you. Only our house cleaning company across Wandsworth has the very best cleaning products and up-to-date cleaning equipment to have your house looking immaculate. Whether you require general up keep of you home or a stubborn stain removing we'll be able to help. Our cleaners SW8 have helped many house proud customers in the past at cleaning their house and keeping their homes clean for longer. A home clean puts your mind at ease so you can relax and enjoy your home. We are the best in SW18 area so why not phone us today? Our commercial cleaning company prides itself on helping your business in Wandsworth, SW18. Our office cleaners understand the importance of clean offices for business and keeping your office equipment lasting longer. A commercial clean will have your offices looking like new for your employees. Our office cleaners are flexible and work around you. That way your employees can be welcomed to spotless offices when they arrive to work. For more information on our full range of office cleaning services, call our cleaners Wandsworth today and don't miss out! I was quite disappointed with a few cleaning companies I had been using over the past few years. A couple of months ago a friend suggested that I call Wandsworth Upholstery Cleaning. I decided to give them a try and called them for end of tenancy cleaning for one of the properties I own. The team cleaned and scrubbed the house till it shone, one of the best cleaning services I have come across. Will be happy to use your services again. I have two dogs and, although they are house trained and I clean their paws after every walk outside, they still make a mess sometimes. Dog drool on the sofa, hair on the carpet, I've seen it all. I needed some help with keeping my home clean and I found exactly what I was after in House Cleaners Wandsworth. Much appreciated! Description: Call 020 3744 2863 right now and get the best deal on property cleaning services available 24/7 throughout Wandsworth and the SW8 area. Copyright © 2013 - 2015 Cleaners Wandsworth. All Rights Reserved.